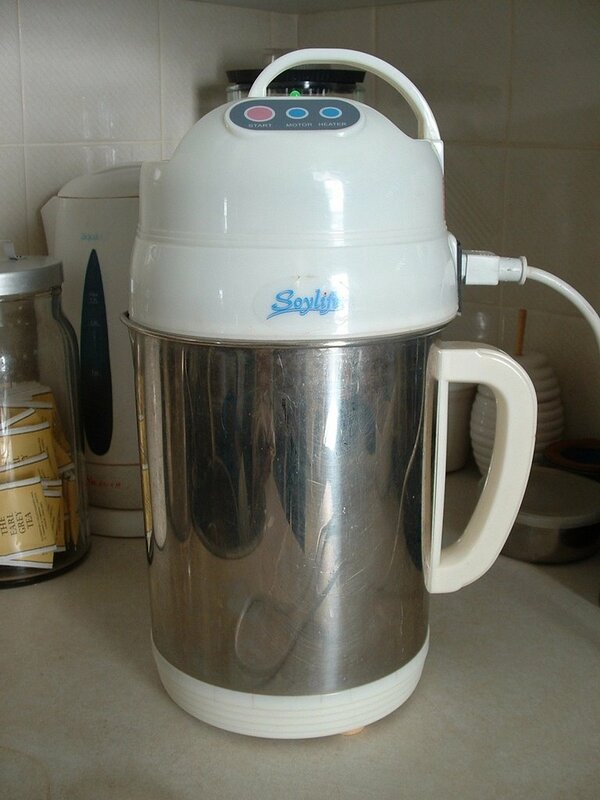 One of the best things we’ve done to help us save money while eating healthfully was to buy a soy milk maker. 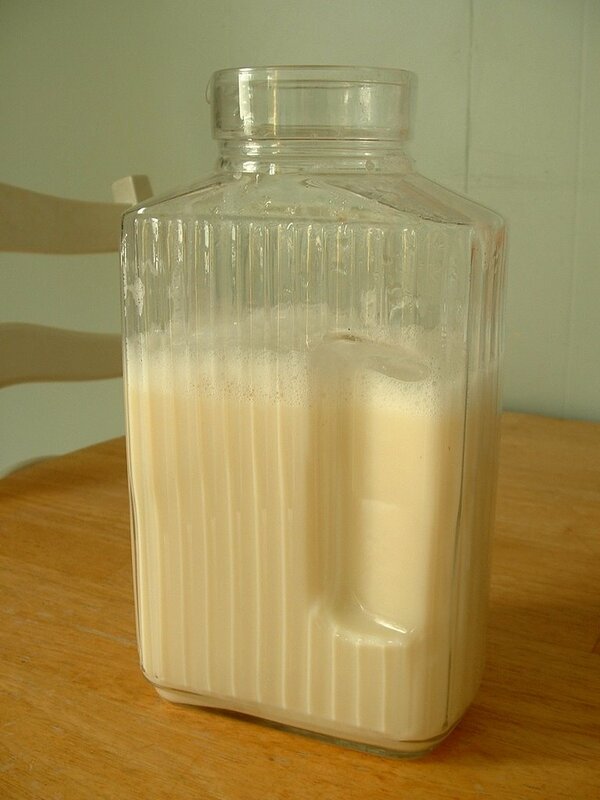 With it we are able to produce 1.5 litres of fresh, organic soy milk for about 30 cents. This is a huge savings over the $4 – $5 I would pay for the equivalent amount of soy or organic cow’s milk at the store, plus there’s no packaging to dispose of. The bean pulp (okara) that remains can also be used to make all kinds of things (burgers, sausages, etc). 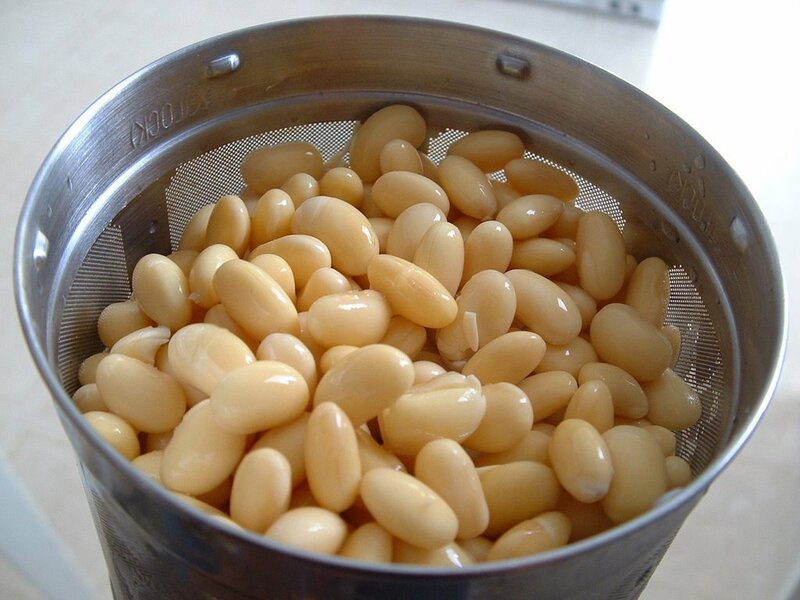 The dry beans must be soaked for 8 hours or overnight. 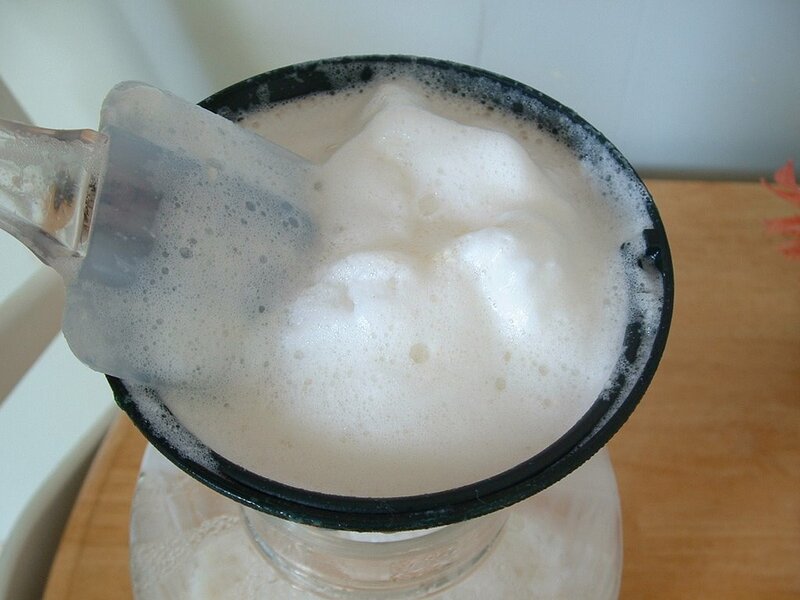 When they are sufficiently soaked, they go into the blender cup of the soymilk maker. Add the desired amount of water to the pitcher and press start (I never said this was difficult). The machine heats the water to 170 degrees (which reduces the beany taste), blends the beans and forces the water through the bean mash to make the “milk”. I strain the finished milk through a gold coffee filter before flavoring (this makes for “silkier” milk). Add a little sweetener, salt and vanilla, and you’ve got milk! The whole process start to finish takes about 15 minutes. This machine can also be used to make various rice, nut and seed milks. You could always get goats, too. 🙂 ‘Course, they take a bit longer than 15 minutes to milk, but you don’t have to soak ’em for eight hours, either. Hee hee – thanks for the laugh!